I was just in the Dominican Republic on a birthday/honeymoon/Thanksgiving trip. They say that people don’t do it well, but I think that we are doing a great job of multitasking vacations. However, I digress, as I am wont to do. My husband lives for surfing. He checks the weather, daily, to see how it will affect the waves. He goes surfing, in the dead of winter, in New York City and, if that isn’t dedication, I don’t know what is. I get frostbite just thinking about it. When we travel, we often look to go to places where he can surf and, while he is surfing, I either go for a run or I take a surfing lesson. During our multitasking vacation, I took a lesson. The lesson started out on the beach, with a session on technique. That went very well; it is very easy to surf on an immobile board that sits on sand. After this session, we were then each sent out with a board and an instructor. 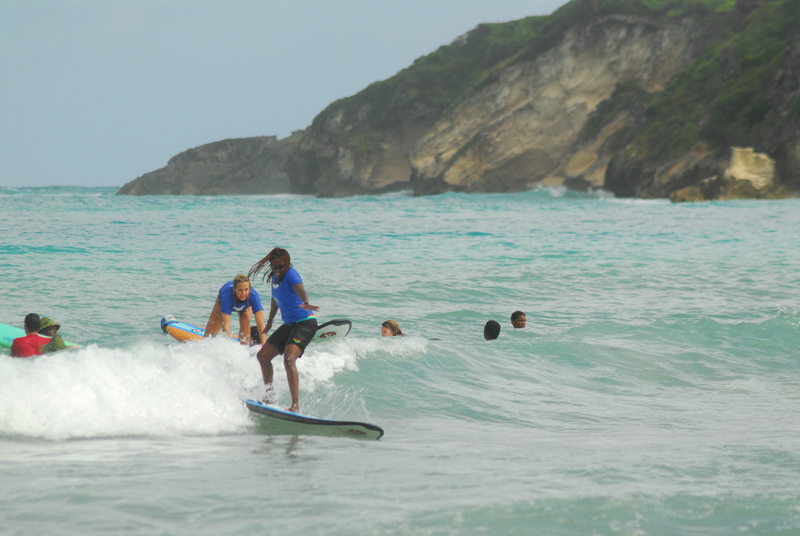 In addition to the challenge of keeping water out of my nose and mouth and, of course, trying to ride the waves, while standing on my board, I had to figure out how to communicate with Francisco, my instructor. My Spanish does not even qualify as rudimentary and, even though Francisco’s English was decent, I managed to do odd things on the board that he struggled to explain. Instead of giving up on me, he called on his co-instructors to bring together what English each knew. And they came up with a complete critique of my surfing technique, or lack thereof. My ego could have done with less resourcefulness, but my drive to succeed on the board appreciated it. The collaboration of these men was able to cover a lot of issues and, in no time, I was standing on my board and feeling rather accomplished. Francisco, reinforced, for me, the power of collaboration, effective communication and, without a doubt, of having someone find you the perfect wave to ride. Gracias!